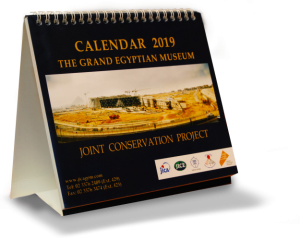 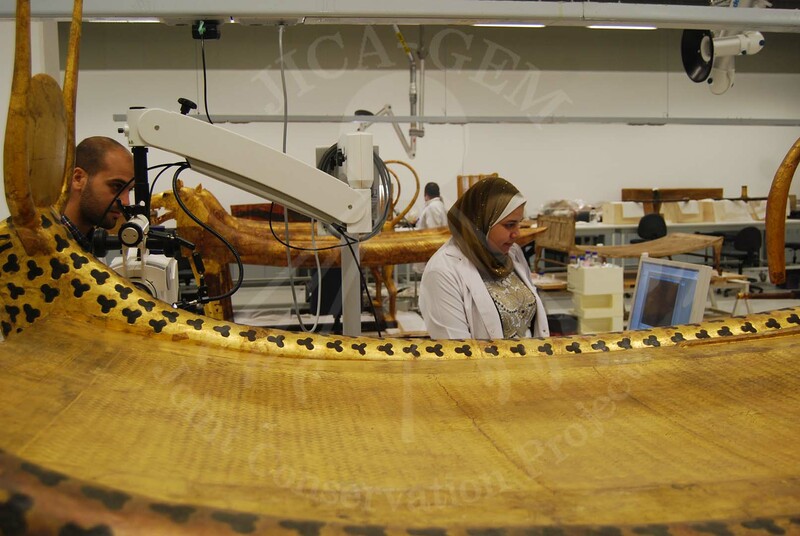 After the transportation of King Tutankhamun’s third funerary bed to the GEM in April, the wood team has started documenting and analyzing the bed before working on the conservation plan of it. 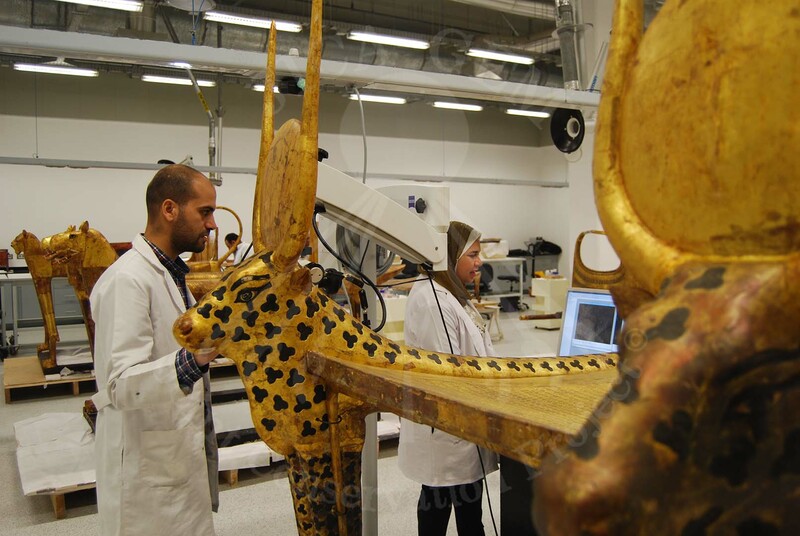 First, they identified whether there has been any conservation work applied on the bed or not by using different filters and light sources such as UV and IR filters. 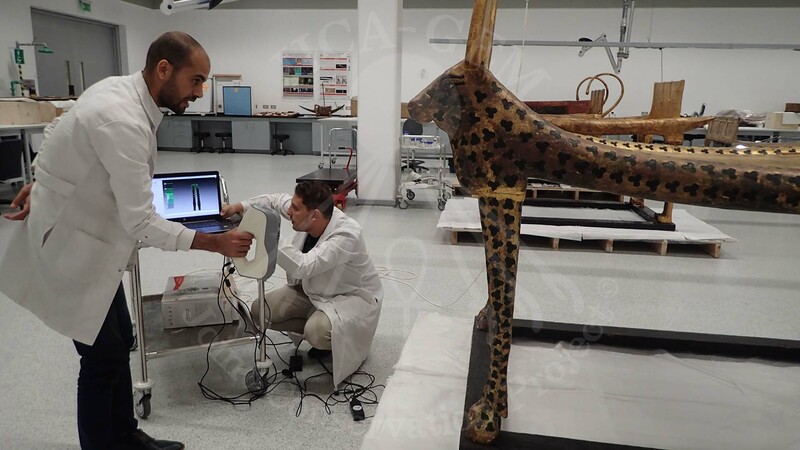 Next, the team started the 3D scanning of the bed. 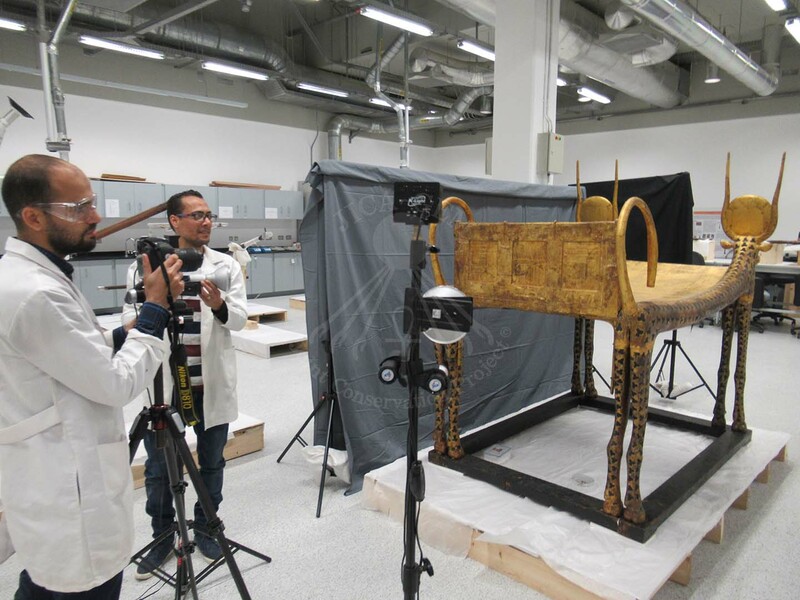 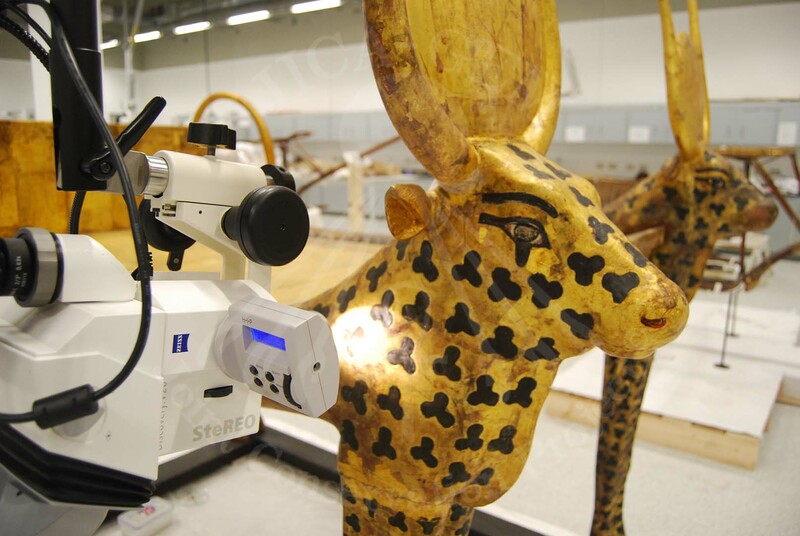 This process is usually done before and after the transportation to ensure that the state of the artifact has not changed during transportation. 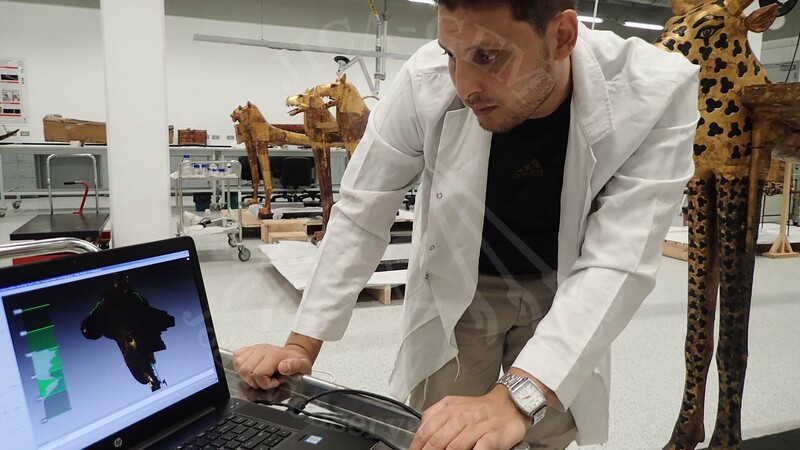 And recently, the team used the digital microscope, a device with a high magnifying asset, to observe and investigate the surface of the bed.